It’s day two and we all traveled to San José Cajagualtan. 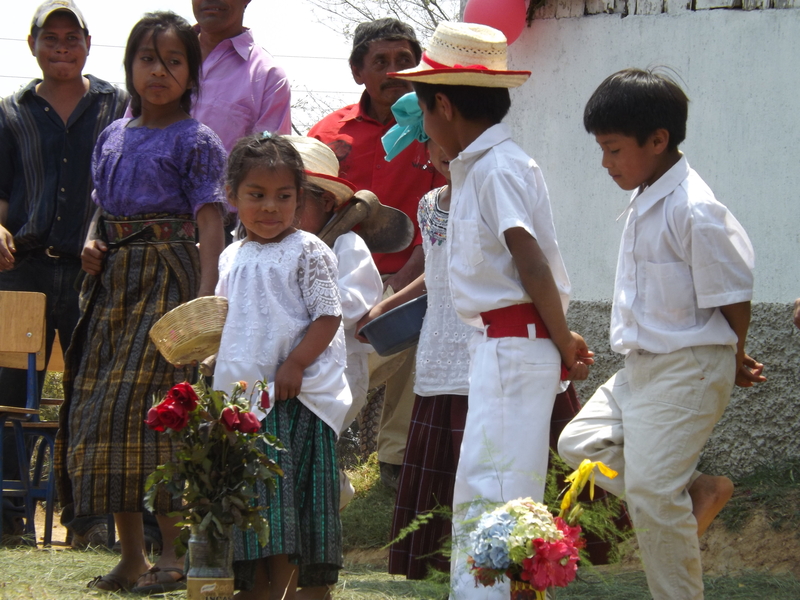 This is the village where the first Guatemala Outreach group built a playground in 2010. We were thrilled to see that the playground equipment was well used and still in great shape! Cajagualtan is the site we chose for the Joe Walsh clinic. The clinic is very near completion and we were able to pitch in with the painting. Yes…all twenty of us!.. plus a few children we just couldn’t say no to when they indicated they wanted us to hand over the rollers. Luckily, only a few of us will return tomorrow to apply the second coat and touch up our efforts. The official dedication for the clinic is Friday. This was our first day of work and we traveled to the village of San José Las Minas. It was in Las Minas that we finished up our work last year and where, tragically, our team member Joe Walsh, passed away. This year Joe’s son and daughter are with us and our first function this morning was to lay a wreath on a memorial site the villagers marked. There were some tears, some prayers, and the acknowledgment that Joe died working in a place he’d come to love, for people he’d come to love. After the ceremony, the children of the village performed for us and we had an impromptu workshop on stove installs as this year we are dealing with a new and larger stove design. We left several people to install a playground and moved down the road to the village of San José Buenos Aires where we installed 15 more stoves.